As we all know a breakdown is not only inconvenient and time consuming, but can also turn out to be very expensive as in a large majority of breakdown cases this is due to irregular servicing. For this reason, we have compiled a number of tips that will significantly help increase the life of your new vehicle. One of the main tips to take into account when buying a new car is being patient during the ‘running-in period’, which is within the first 1,000-1,500 miles of owning your new vehicle. Throughout this time you are advised to keep your speed below 55mph, avoid carrying heavy loads (e.g. towing trailers), as well as harsh acceleration and heavy braking. 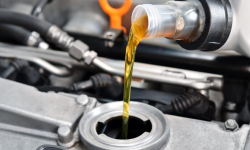 It is also vital to check your oil and coolant levels at least once a week. Together this will all help to prolong your vehicle’s reliability and maintain its performance levels. Engine oil – Check the dipstick every fortnight and before any high mileage trip. An oil filter and oil change should be incorporated into the regular servicing of the vehicle. This is very important because if your oil pressure is too low it will result in your engine failing. Tyres – Ensure your tyre pressure is correct for your chosen car. Check the tread levels and condition of each of the tyres, the last thing you want is an accident occurring as a result of a flat tyre. Water and Coolant – Water and coolant levels are extremely important as they help keep your car’s engine at the correct temperature. Coolant also incorporates antifreeze which prevents the build-up of corrosion within the cooling system. Air filter – The air filter has been designed and developed to keep dirt and debris from entering your car; this means it gets clogged up, particularly in summer. Replacing the air filter should be done on an annual basis. Bodywork – Keeping the bodywork of your vehicle in good condition will not only keep your car well-maintained, but improve its resale value too. These are just some of the more important tips when it comes to maintaining your new car. Just remember, no matter how long you’ve had your vehicle, general servicing and upkeep should always be a priority.